New check out our current Specials.PlanetEarthDiversified.com! We provide fresh greens, Baby Salad Mix™, herbs, tomatoes, gourmet cucumbers, microgreens, sprouts, nanogreens, wheatgrass, seasonal farm produce, eggs, essential oils and hydrosols to the most discerning chefs and gourmet customers. Local refrigerated delivery in Virginia cut and delivered the same day. We also ship via air throughout the continental USA. 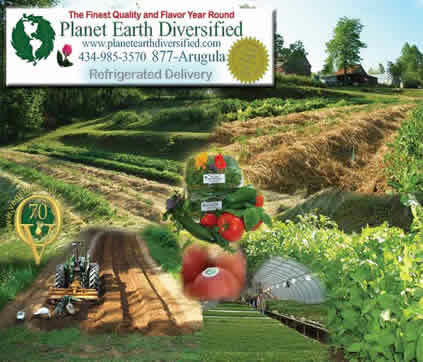 Ecologically Grown™ based upon your requirements in our own proprietary design of ecological greenhouses and sustainable farming - growing for you and growing only the best! Planting In The Field Now! Heirloom Tomatoes, Greens, peppers, POTATOES! Our newest flavor Jelly! From our Wild Plum Tree. ..and now we have dried peppers from our bumper Hot Pepper crop, So... For August 2009 CASH FOR PEPPERS! 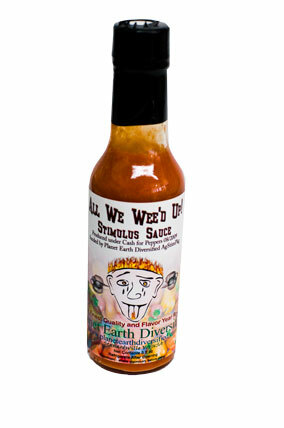 and our new hot sauce "All Wee Wee'd Up!" Our Delivery Truck Powered By Vegetable Oil Fuel! © Copyright 2006 - 2010 Planet Earth Diversified All Rights Reserved.